A modular bed multifunction with stunning design, this concept of a bed can be a future with limited space. This is the module bedroom modular design with a fantastic ideas, so beautiful and futuristic. 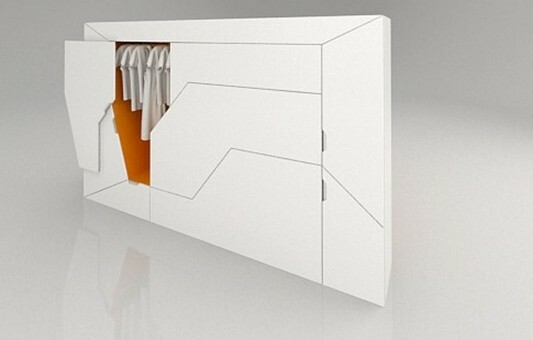 Design of multifunctional as small wardrobes design, include functions of a bed. With a white lacquer, just looks a minimalist modern wardrobes. Just look at the difference of the cabinet door is opened, a white contemporary folding beds are amazing. This futuristic furniture designed by Boxetti to function with a double bed and wardrobe. This unit is equipped with stainless steel which has a high quality, and to fold it has adopted advanced technology, which can be moved using the remote control, with built-in night stand. Contemporary multi-functional furniture unit is also equipped with a lighting fixture atmosphere above the headboard. Limitations of space is no longer a problem, that is what we see on this contemporary bed module. With a multifunctional design that includes the function of the bed and minimalist wardrobe. Small white wardrobe consists of six integrated parts, including shelves, drawers and clothes rail. Modular cabinet unit is ideal for application in a modern apartment, which has a narrow space. 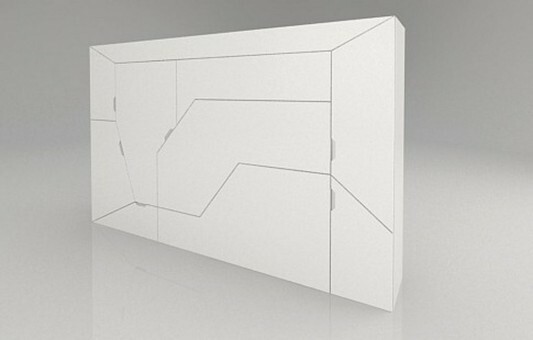 With the cabinet series folding combined with others, can make a modern room decor with a variety of functions therein. Visit Boxetti For more information.